How could one little additive be so pervasive? Well, because it's really useful. Have you ever noticed soy lecithin on the ingredient statement of your pre-packaged food? It sometimes seems like it's in everything! It makes you wonder--how could one little additive be so pervasive? Well, because it's really useful. , which means it makes oil and water mix together, which they ordinarily would never do. That's why you often see it in creamy salad dressings, mayonnaise, reduced-fat buttery spreads and other foods that have a hefty portion of oil. 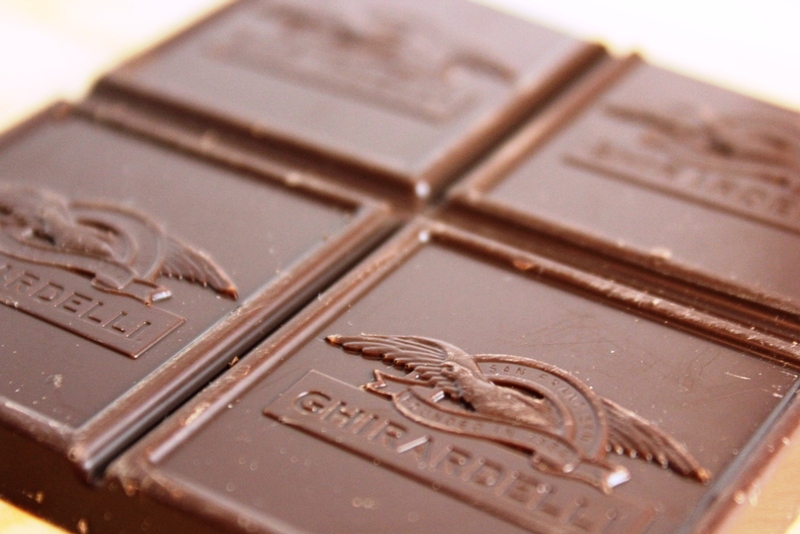 , the leading cause of gross-looking grayish streaky chocolate (still safe to eat though). A lot more foods than you realize benefit from lecithin's emulsifying powers (like Nature Valley peanut butter granola bars and flavored tea bags!). But lecithin does more than just emulsify! In addition to that, it helps stabilize emulsions, which extends shelf life. It also reduces stickiness and is often used as a "releasing agent," which is integral to the effectiveness of non-stick cooking spray. 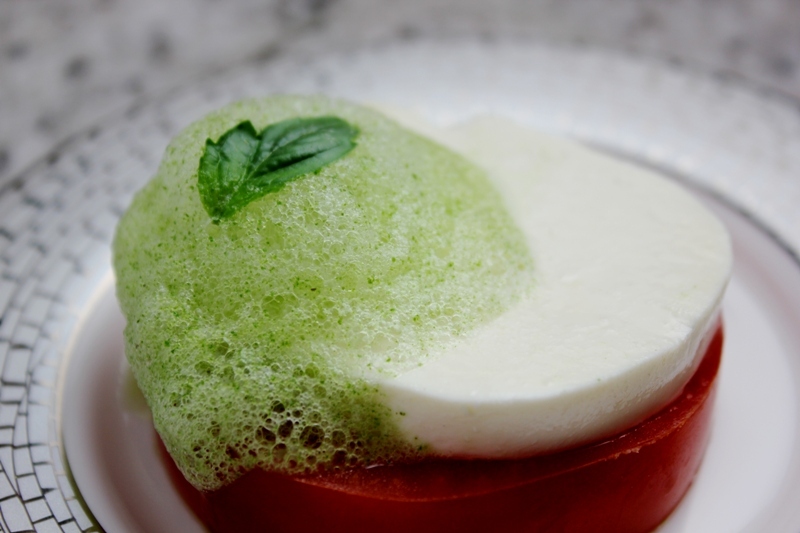 Basil Foam: 1 cup water, 1 cup fresh basil, 2 g soy lecithin powder. Whip with immersion blender until foamy. Garnish with basil leaf. , or wetting agent. 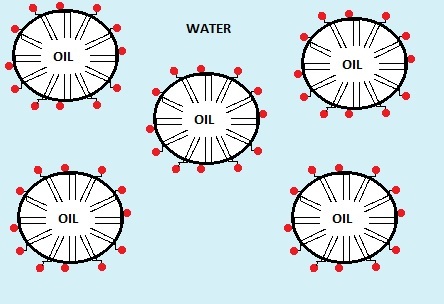 Surfactants reduce the surface tension of liquids, which allows them to spread out faster and be absorbed quicker. Lecithin is often added to cake and other baking mixes so that water stirs in more easily, with fewer stubborn lumps in the batter. Due to its rich choline content, lecithin is also sold as a dietary supplement. Choline has been shown to reduce bad cholesterol, a major risk factor for heart disease. 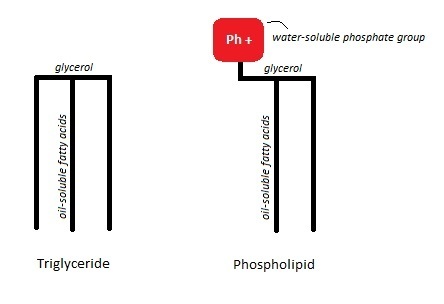 = fat), and they are able to dissolve happily into mixtures that contain both water and oil. (main) phase, and the water is dispersed in droplets throughout. Others dislike soy lecithin because it's "artificial." While lecithin is naturally occurring in soybeans, it's usually extracted using harsh chemical solvents. The last major concern regarding soy lecithin is that, like most soybean products, it is usually derived from genetically modified (GM) soybean plants. Since most soybean and corn crops grown in North America are GM, it can be difficult to avoid them completely. If GM soy lecithin bothers you, look for a label that says "organic soy lecithin" or "organic lecithin," since organic ingredients can only be made from non-GM plant sources. 1. Amy Brown, Understanding Food: Principles and Preparation, 2nd Edition (Belmont: Wadsworth/Thomson Learning, 2004), 38-39. 2. "Food Allergies: What You Need to Know," Food and Drug Administration (FDA), accessed March 15, 2013, http://www.fda.gov/food/resourcesforyou/consumers/ucm079311.htm. 3. "Soybeans and Soy Lecithin," University of Nebraska-Lincoln (UNL), accessed March 14, 2013, http://farrp.unl.edu/resources/gi-fas/opinion-and-summaries/soy-lecithin.